In the hands of this heartthrob dentist, you may not only fall for his charm, but also for his skillful touch that can turn an oral crisis into full-mouth restoration and glory of life. 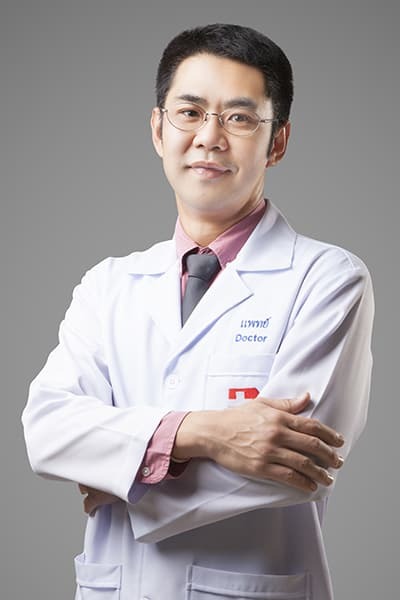 He graduated from Prince of Songkla University, Southern Thailand’s most prestigious university with an advanced certificate in prosthodontics in 2009. Then, he joined the Bangkok-Phuket Dental Center as a full-time prosthodontist. This is where he has grown from strength to strength and gained popularity among Thai local residents as well as foreign medical tourists. He can perform dental crowns, bridges, veneers, dental implants and dentures. Yet, he is in constant pursuit of new knowledge and learning; he has recently taken on studying orthodontics (braces) on top of his prothodontic career in a bid to broaden his horizons and sub-specialties.